Dolly (Dolores) Ann samples was born on Friday, June 13, 1958. Born in Erie, Pennsylvania. She was the daughter of Patricia Mae Brown and Gerald Roy Miller. She attended Fort LeBoeuf High School, Graduated from Seneca High School in Pennsylvania. She worked as a Legal Secretary, Business Owner, and a Live-in-aide/Caretaker. 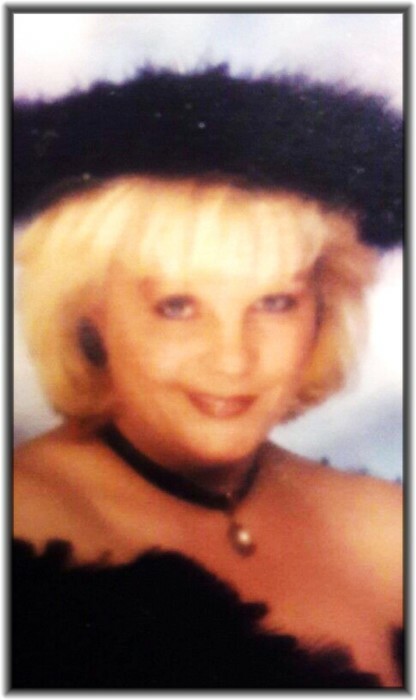 Dolly was only 60 years young when she passed away unexpectedly on Saturday, January 19th in Hemet California. It is hard to say goodbye. We wish that we had more time, and perhaps that during that time we had spent more of it together to say what needed to be said or just merely express how much we loved her. We wish that so much of her life had not been lost to her illness, that things could have been different for her, and for us. While we know that she is at peace and that her struggles are at an end, there is pain and sadness. Even though she is gone, she has left a legacy of love and perseverance. The many ways she touched our lives, each of us differently, will remain, and I ask you to keep those memories alive by sharing them with one another. Dolly will be remembered for her sparkling personality traits, which were a tell all. It was difficult not to notice her when she walked in a room. She had a vibrant personality, she was vivacious, flirty, and she loved to be the center of attention. She had a way with her sarcasm. She was wise, honest and had compassion for others. One of the most important things in Dolly's life was her family and grandchildren. She was supportive, affectionate, always told us she loved us. While she was always opinionated, she required us to be mindful and to use our manners, to be respectful to our elders, and most importantly, she demanded respect from all of us. She took great pride in all of our accomplishments. Dolly's hobbies, were Bingo, Going to the Casino's, Singing and Dancing, and most importantly spending time with her grandchildren and her fur baby, Princess. Children: Charleen & Tom Turner, Elizabeth & Jacques Broussard, Rosa Hernandez, Adam & Kento Batista, Gerald Hernandez. Children/Niece & Nephew: Patricia Lopez & Daniel Hamrick. Grandchildren: Alisha Wojtecki, Courtney Lance, Keuler Watson, Dasha Hernandez, Damoni Hernandez, DeMarco Hernandez, DeNero Hernandez, Damaya Hernandez, Dalila Hernandez, Heavenly Broussard, Tyree Broussard, Tyquan Broussard, Omari Broussard. Grandchildren/Great Niece & Nephews: Andrew Lopez, Sarah Lopez & children, Carlos Herrera, Dorian, David, Jordan, Cekimber, Myoshe, Donald, Titiana. Surviving Siblings: Ruth E. L. Ortiz, Donna Mae Snyder, William Brown, Doug Miller, Allen Miller, and Gerald Miller. Predeceased by: Albert Rosenberg (widowed), Mother- Patricia Mae Brown, Father- Gerald Roy Miller, Sister- Elizabeth A. Diaz, Brother- Donald E. Samples, and 2nd Mother- Dorothy Watson.